For 37 years, Temecula Tow Company has served as the leading 24-hour emergency or non-emergency local & long distance towing business in the Temecula, CA area. Conveniently located in the Temecula community, we can give you a tow at any time and any day of the week. We understand that vehicles can break down or accidents happen all day long. This is why it is our intention to be available whenever you need our help. All our local or long-distance towing service is provided by licensed and insured Temecula tow technicians. Whatever your specific towing need is, Temecula Tow Company will arrange to give you service at your convenience, as we trust in crafting long-lasting relationships with our customers. Our long distance and local towing services are 100% guaranteed. For safety and security, contact us, and we’ll have an expert for your towing needs speak with you and get our tow technician to immediately come to your location. We offer affordable Temecula, CA local & long distance towing services. When you hire us, your towing job is customized for your particular requests. We can also assist you with roadside assistance, including flat tire changes and gas delivery. Day or night, you can rely on Temecula Tow Company for effective and reasonably-priced local or long distance tows. Because of our reputation for providing vehicles with a remarkable level of exceptional workmanship and customer satisfaction, we have become the go-to Temecula, CA towing provider. Anytime you need a tow for your car or truck, get in touch with us! Temecula, CA area residents have trusted Temecula Tow Company expertise since 1980 when it comes to a wide array of towing and roadside assistance work. We give reasonable prices and expert leadership on towing issues. We are fully licensed and insured to safeguard you and your vehicle. Our California towing and roadside assistance business offers affordable and professional services 24/7 all year long. Our highly-trained team makes sure that you receive incredibly fast and competent towing service. Ask us anytime of the day, and our polite and friendly staff will answer all your questions. 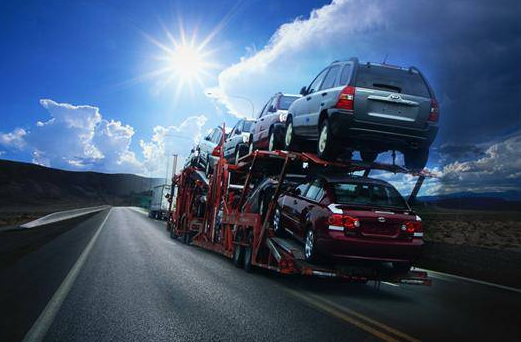 We provide towing for personal and business vehicles, including semi-trucks. All our local or long distance tows are competitively priced. We know that when you give us your vehicle, you are turning over a vital part of your property to us. This is the real reason our aim has consistently been to give quality service, in a timely fashion, and at a fair rate. After 37 years, this still hasn’t changed. For the long-distance towing provider in the Temecula, CA area, turn to our experts. Our technicians are schooled in the latest towing procedures and can handle any problem. We are also updated and trained in the latest roadside assistance industry standards. Our intention is to have a gratified customer who will recommend others to our Temecula, CA company. Temecula Tow Company is more than just a towing business. We are a friendly business with an interest in absolute customer satisfaction. If you want a first-rate local & long distance towing company in the area of Temecula, CA, consider Temecula Tow Company!